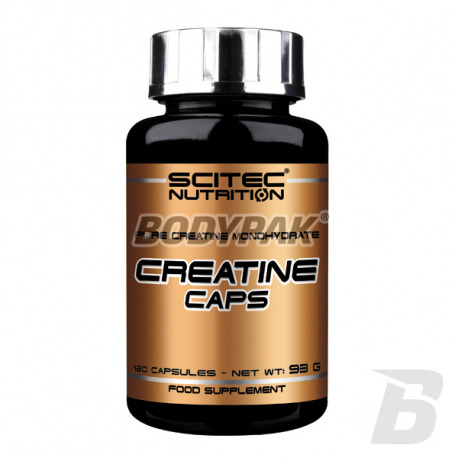 CreatineScitec Creatine - 120 kaps. 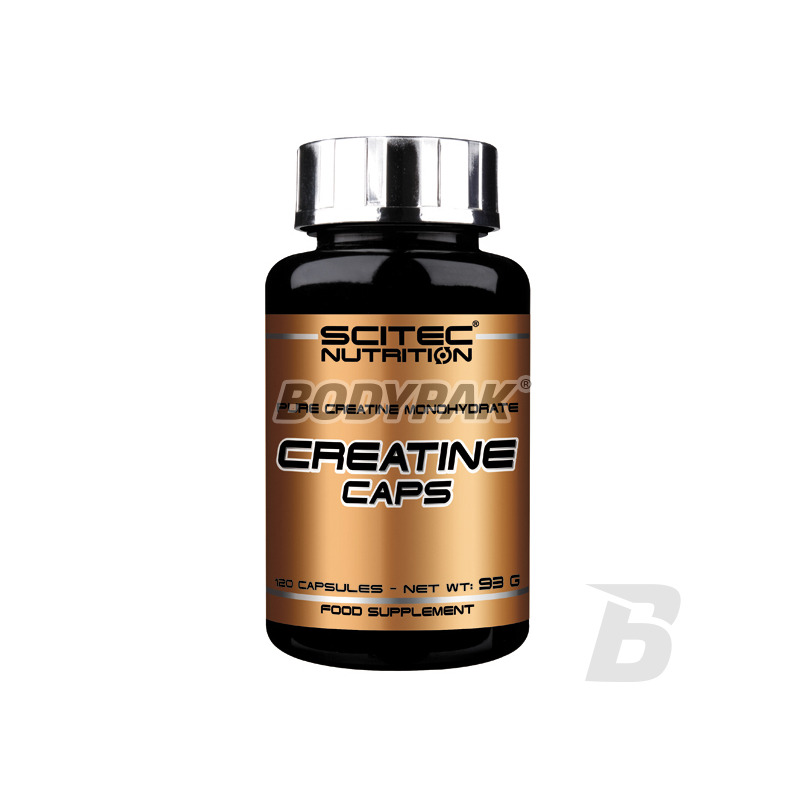 Scitec Creatine - 120 kaps. Micronized top quality, free from any contamination, Creatine Monohydrate. It is most effective with legal anabolics. Scitec Creatine - 250 kaps. Scitec Creatine Caps are of the highest quality creatine monohydrate, free from contamination. It is most effective with legal anabolics. Creatine is a nitrogenous organic acid which occurs in vertebrates. About 95% of the creatine in the body's skeletal muscle cells. These cells can store more creatine than the amount normally taken from the daily diet and synthesized by the body. Diet supplemented with creatine makes the muscles retain more creatine. Scientifically proven that creatine at least 3 gram daily dose increases the performance in subsequent bursts of short-term high-intensity exercise, such as weight training and cardio interval *. Usually within 30 days saturation of creatine in your muscles will increase significantly. The product can not be used as a substitute (replacement) of a varied diet. In order to free charging creatine recommended to consume 2 capsules 3 times a day on an empty stomach abundantly sipping. It is best to eat before and after exercise, especially in combination with simple carbohydrates. Klasyczne mono w kapsułkach, tyle że dużo ich trzeba łyknąć i nie wychodzi to zbytnio ekonomicznie, za co leci minus ode mnie. Poza tym jest w porządku.